Studio wait llist open effective June 1, 2018. Applicant must be 62 or older, or handicapped/disabled to be eligible for housing. This property offers HUD Project-Based Section 8 rental assistance. Rent is based on 30% of income. Utilities are paid by the property. There is a laundry facility on site. 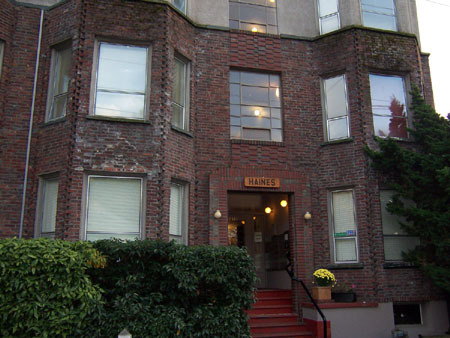 Charming Brick building for Seniors 62 or older, or persons with handicap/disability . HUD Rental Assistance Available, conveniently located on Capitol Hill close to shopping, medical centers, bus access, restraurants and parks. Income Limit Details: Below HUD Very Low income limits with preference for extremely very low applicants. This property offers HUD Project-Based Section 8 subsidy. Rent is based on 30% of income. Utilities included, pets welcome, laundry facilities on-site. .